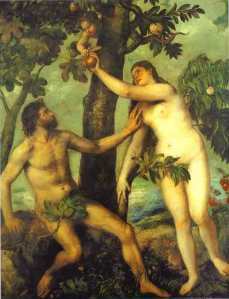 In John Milton’s Paradise Lost, a man called Adam leaves a verdant paradise after his partner bites into an apple promising tantalizing greater knowledge. Unlike the biblical story on which the puritan poet’s great epic is based, the decision is painted in decidedly ambiguous terms: is it better to live out one’s days in comfortable surrounds or chance one’s arm at something more life-affirming? Last Saturday at Wembley, another Adam was tempted by an offering from a crafty serpent by the name of Scudamore. Initial steps will be taken boldly, but all manner of tribulations could lie in wait. OK, the analogy breaks down when trying to liken Ian Holloway to Eve, but you get the gist. Charlie Adam is our player of the season for 2009-2010 because quite simply, Blackpool would not have been looking forward to top flight football without him. A protracted hunt for his signature from Glasgow Rangers last Summer has been more than justified with 19 goals from midfield and he capped it all by properly getting the ball rolling for the ‘Pool at the arched arena last weekend. An even more honourable mention than ever for Adam’s chief rival for this accolade, a man intriguingly likely to compete with the Tangerine to partner Darren Fletcher in Scottish midfields of the future. Graham Dorrans is a more ethereal talent than Adam and a little more youthful; votes for him were split across the main player and young player award. It’s hard to think of a more talented player in this division for pure skill and it will be up to the callow kid recruited from Livingston by Tony Mowbray to improve on the fortunes of another former Baggie he brings to mind, Jason Koumas. Others in the frame include Paul Hayes, Preston bound and as integral to Scunthorpe’s progress as Adam to Blackpool’s, as well as a tiding of Magpies. Kevin Nolan, Mike Williamson, Fabricio Coloccini and Jose Enrique are just a few of many who have excelled in their one Cocaleague excursion. If you're talking about Magpies, I'd replace Williamson with Gutierrez and Carroll. Adam's a worthy winner, though. Gutierrez was certainly super from the word go. It will be very interesting to see how Carroll does in the EPL. Personally, I'd probably put my money on Dorrans as a better bet for a glittering long term future than Adam. I haven't seen Adam much but he seems more in the traditional mould of the driving British midfielder whereas Dorrans adds something different. Another person who impressed me very much this season was Victor Moses but he jumped ship in January.